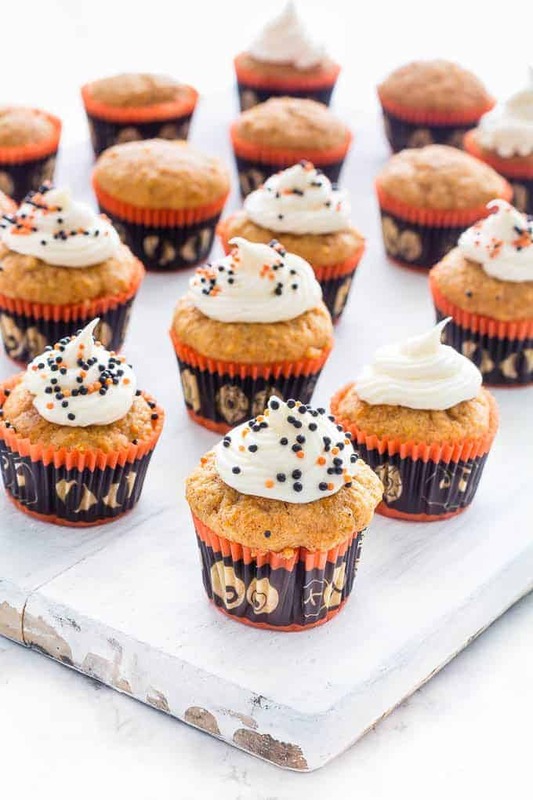 Why not treat yourself to these cute halloween mini pumpkin muffins? A few weeks back I spent the entire day in bed. As in the hours of 9-5 pm. Yeap, the whooooooooooooooole day. It rained, the sun shined, it rained again, it was a bit warm, then it got cold. I viewed all this yo-yoing weather from under the covers of my very comfy bed, as I binge watched the entire series one of scream on Netflix. Along with binge eating these Halloween mini pumpkin muffins. I mean, the two go together perfectly right? Best day ever. 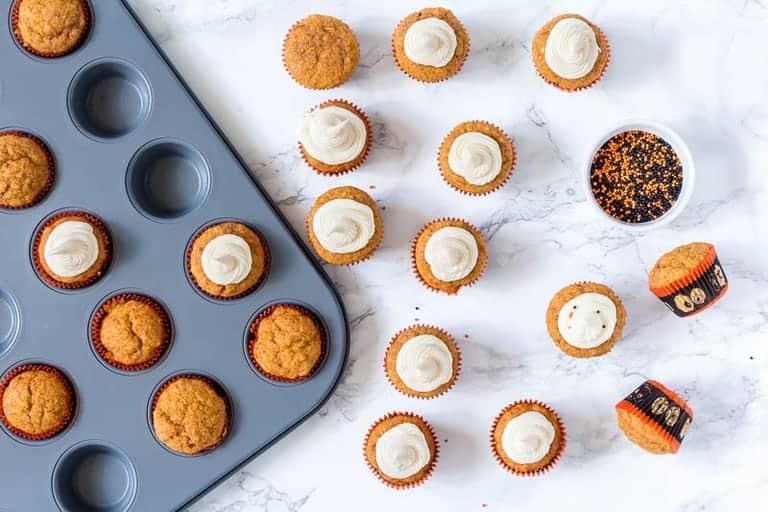 Another plus point is that I have got my Halloween baking and treat or trick eats sorted, and the mini chefs are excited to whip these pumpkin muffins up for when their cousins come to visit. 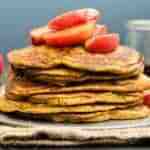 They are good both with and without the topping, just try them and see which way you prefer. 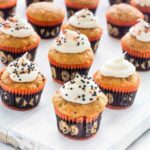 Here is how to make some Halloween mini pumpkin muffins. Aren’t they just too cute? 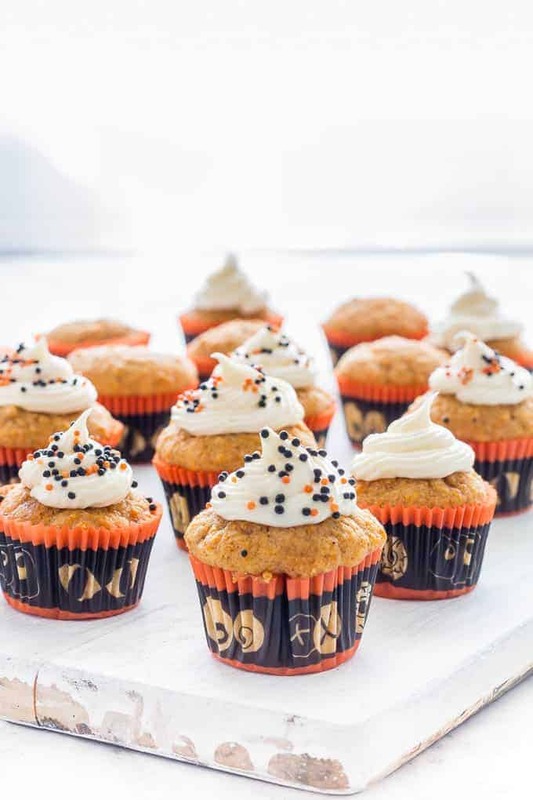 Don't forget to tag #recipesfromapantry on Instagram or Twitter if you try Halloween Mini Pumpkin Muffins! It is really, really awesome for me when you make one of my recipes and I'd love to see it. You can also share it on my Facebook page. Please pin this recipe to Pinterest too! Thank you for reading Recipes from a Pantry. Preheat the oven to fan-assisted 160C /180C / 350F / gas 4 and line your 48 cup mini muffin tray with liners. 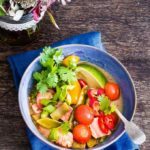 In a large bowl, mix together all the dry ingredients and set aside. In a separate bowl, use a hand mixer to cream together the butter and sugar until fluffy. Then beat in the eggs one at a time until well combined, before mixing in the pumpkin puree and vanilla extract. Add the dry ingredients to the wet ones and mix until well combined. Divide the batter equally between the prepared muffin cases and bake for 12-14 mins until golden and a skewer inserted comes out clean. Remove muffins from the tray and let cool completely before icing them and topping with decorations to your taste. Plus, any excuse to use my cute new mini muffin tray from Jamie Oliver bakeware. Perfect for all those little hands at kids parties, brunches and me time moments. It comes with a non stick coating, is designed to transmit heat evenly for even baking, can withstand temperatures of up to 240C /475 F and comes with a 25 year guarantee. It is pretty much the perfect baking tool for all those little hands, brunches treats and me time moments. Why not head on over to the website and check this and other Jamie Oliver bakeware out. Jamie Oliver Non-Stick Baking Tray, Harbour Blue £14.99. To be in with a chance of winning these tins, all you have to do is enter via the rafflecopter form below. You can even win extra entries by tweeting and sharing some of my recipes each day. This giveaway is open to UK entrants only and runs until Monday 21st November 2016. Good luck. 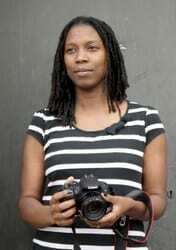 For more prizes, visit my giveaway page. This post is sponsored. Thank you for supporting the brands that make it possible for me to continue cooking up great recipes for you. All opinions are my own. 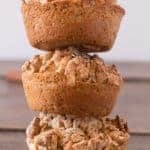 My favourite autumn bake has to be apple and cherry crumble! I love baking Spiced Apple Cupcakes with Toffee Buttercream Icing! Yummy! 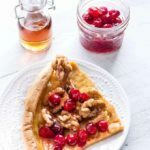 I love a pecan pie, or an apple and blackberry pie! my special needs teenager is the cook here and he cooks the best vanilla raisin cupcakes. yummy. how can contact to you ? how can help me to improve my site ?